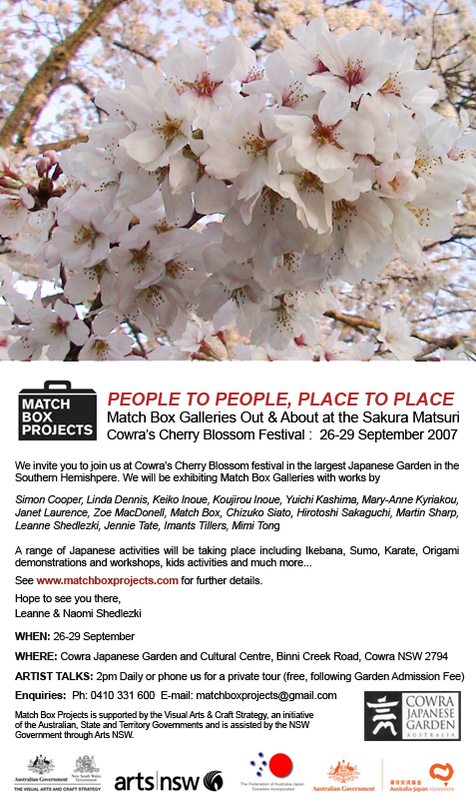 The Festival is one of Cowra’s main events and a wonderful opportunity to gain a taste of Japan. Cowra is in Central NSW, about 4 hours drive west from Sydney. We gratefuly acknowledge the support of the Visual Arts & Craft Strategy, an initiative of the Australian, State and Territory Governments, the NSW Government through Arts NSW, the Australia Japan Society of NSW, and the Australia Japan Foundation through the Japan Cowra Society and the Federation of Australia Japan Societies.